Realme is offering Rs 1000 off, discounts on Mastercard cards and EMI options starting from Rs 366 per month. 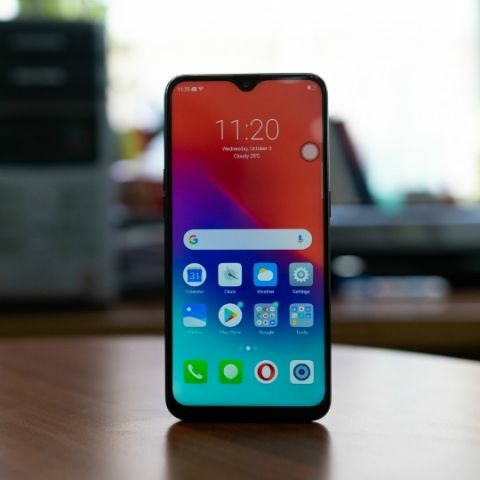 In September, Realme launched the Realme 2 Pro (Review) in India. The device will go on sale today on Flipkart. The smartphone brings a waterdrop notch display and is the company’s second phone after it split from Oppo. The Realme 2 Pro is unveiled at a starting price of Rs 13,990 and the company is offering the handset at a special price, where buyers can get extra Rs 1,000 off. Those who make their first online payment via Mastercard will get a 10-percent instant discount. Axis Bank Buzz Credit Card users will get an extra 5 percent off. Regular EMI starts from as low as Rs 366 per month. The Realme 2 Pro sports a waterdrop notch on a 6.3-inch Full HD+ edge-to-edge display with a 90.8 percent screen-to-body ratio and an aspect ratio of 19.5:9. The smartphone is powered by the Qualcomm Snapdragon 660 SoC and is paired with Adreno 512 GPU. It ships in three variants: 4GB RAM + 64GB storage, 6GB RAM + 64GB storage and 8GB RAM + 128GB onboard storage. The 4GB variant is priced at Rs 13,990. The 6GB variant will cost users 15,990 and the 8GB variant will be available for Rs 17,990. At the launch, Realme claimed that the smartphone is the world’s first Dewdrop Fullscreen that starts at this price. The Realme 2 Pro features a dual-camera setup on the back panel with a 16MP Sony IMX398 primary 6P sensor with an f/1.7 aperture, which is complemented by a 2MP secondary lens. Realme says the camera has dual-pixel fast focussing and EIS video recording capabilities. The back panel also has a fingerprint sensor. On the front, the Realme 2 Pro comes with 16MP lens with an f/2.0 aperture. The phone comes with the new AI Shot feature that can apparently recognise 296 facial identification points and offer eight million personalised beautification solutions. The Realme 2 Pro runs ColorOS 5.2 OS atop Android 8.1 Oreo. This phone is available in three colour variants: Ice Lake, Black Sea, and Blue Ocean.